What is LTE? and How LTE actually works? So, what is LTE? To most, it is a faster network technology. To network operators around the world, it is a way to simplify their infrastructures to reduce costs while improving the quality of their offerings to subscribers. Advertisements by network operators declare it as the “most advanced” network technology. In the end, it is Long Term Evolution of the Universal Mobile Telecommunications System (UMTS). But that doesn’t tell us what LTE actually is. LTE is what the 3GPP (3rd Generation Partnership Project, the group responsible for standardizing and improving UMTS) designates as their next step. UMTS is the group of standards that define 3G for GSM networks across the world, including AT&T and T-Mobile’s 3G networks. This does not mean a thing to CDMA2000 subscribers, since CDMA2000 is not maintained by the 3GPP. For CDMA2000 subscribers, LTE is the replacement of mediocre CDMA2000 networks offered by Verizon Wireless, Sprint, au by KDDI, and others with a superior cellular telecommunications system offering flexibility and power to the network operator and the subscriber. 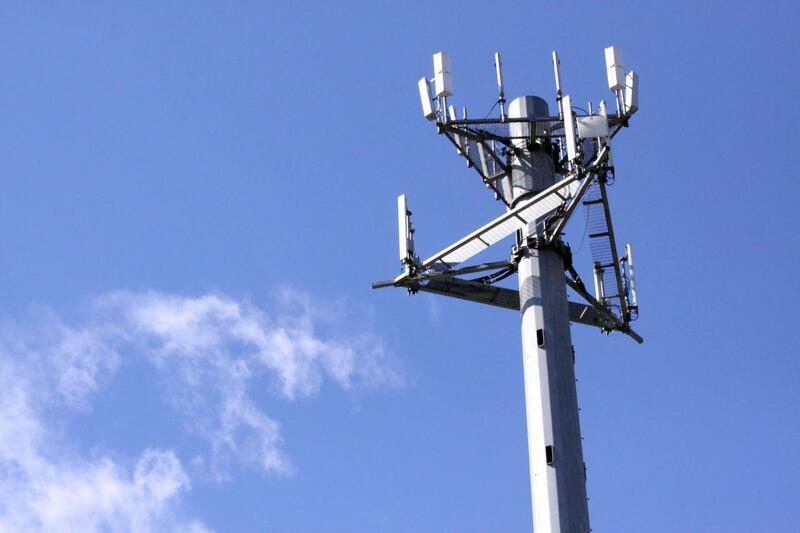 LTE is a very good, easily deployable network technology, offering high speeds and low latencies over long distances. For example, the three LTE networks in New York City were rated well. Verizon’s LTE service was rated with an average download speed of 7.67Mbps and an average upload speed of 3.76Mbps. AT&T’s LTE service was rated with an average download speed of 19.21Mbps and an average upload speed of 10.09Mbps. Sprint’s LTE service was rated with an average download speed of 12.35Mbps and an average upload speed of 4.24Mbps. Verizon’s 3G service was rated with an average download speed of 0.47Mbps and an average upload speed of 0.15Mbps. Sprint’s 3G was similarly bad. Similar ratings followed in other cities as well. LTE uses two different types of air interfaces (radio links), one for downlink (from tower to device), and one for uplink (from device to tower). By using different types of interfaces for the downlink and uplink, LTE utilizes the optimal way to do wireless connections both ways, which makes a better optimized network and better battery life on LTE devices. For the downlink, LTE uses an OFDMA (orthogonal frequency division multiple access) air interface as opposed to the CDMA (code division multiple access) and TDMA (time division multiple access) air interfaces we’ve been using since 1990. What does this mean? OFDMA (unlike CDMA and TDMA) mandates that MIMO (multiple in, multiple out) is used. Having MIMO means that devices have multiple connections to a single cell, which increases the stability of the connection and reduces latency tremendously. It also increases the total throughput of a connection. We’re already seeing the real-world benefits of MIMO on WiFi N routers and network adapters. MIMO is what lets 802.11n WiFi reach speeds of up to 600Mbps, though most advertise up to 300-400Mbps. There is a significant disadvantage though. MIMO works better the further apart the individual carrier antennae are. On smaller phones, the noise caused by the antennae being so close to each other will cause LTE performance to drop. WiMAX also mandates the usage of MIMO since it uses OFDMA as well. HSPA+, which uses W-CDMA (a reworked, improved wideband version of CDMA) for its air interface, can optionally use MIMO, too. For the uplink (from device to tower), LTE uses the DFTS-OFDMA (discrete Fourier transform spread orthogonal frequency division multiple access) scheme of generating a SC-FDMA (single carrier frequency division multiple access) signal. As opposed to regular OFDMA, SC-FDMA is better for uplink because it has a better peak-to-average power ratio over OFDMA for uplink. LTE-enabled devices, in order to conserve battery life, typically don’t have a strong and powerful signal going back to the tower, so a lot of the benefits of normal OFDMA would be lost with a weak signal. Despite the name, SC-FDMA is still a MIMO system. LTE uses a SC-FDMA 1×2 configuration, which means that for every one antenna on the transmitting device, there’s two antennae on the base station for receiving. The major difference between the OFDMA signal for downlink and the SC-FDMA signal for uplink is that it uses a discrete Fourier transform function on the data to convert it into a form that can be used to transmit. Discrete Fourier transform functions are often used to convert digital data into analog waveforms for decoding audio and video, but it can be used for outputting the proper radio frequencies too. However, LTE-Advanced uses higher order MIMO configurations for downlink and uplink. The LTE technology itself also comes in two flavors: an FDD (frequency division duplex) variant and a TDD (time division duplex) variant. The most common variant being used is the FDD variant. The FDD variant uses separate frequencies for downlink and uplink in the form of a band pair. That means for every band that a phone supports, it actually uses two frequency ranges. These are known as paired frequency bands. For example, Verizon’s 10MHz network is in FDD, so the bandwidth is allocated for uplink and downlink. This is commonly noted as a 2x10MHz or 10+10 MHz configuration. Some also call it 10x10MHz, but this is mathematically incorrect, but they mean 10+10MHz. Some will also call it a 20MHz network, but this can be ambiguous. The TDD variant uses one single range of frequencies in a frequency band, but that band is segmented to support transmit and receive signals in a single frequency range. For example, an LTE TDD network deployed on 20MHz of spectrum uses the whole chunk as one large block for frequency allocation purposes. For network bandwidth purposes, a LTE TDD network’s spectrum can be further divided to optimize for the type of network traffic (half up and half down, mostly down and a bit up, mostly up and a bit down, and so on). Everyone else is deploying in the FDD variant. The TDD variant becomes more important in Asia, as China Mobile (the largest network operator in the world in terms of subscriber count) uses TDD frequencies for their 3G network and it plans to upgrade to the TDD variant of LTE. Fortunately, LTE devices can easily be made to support both variants on a device without too much trouble.